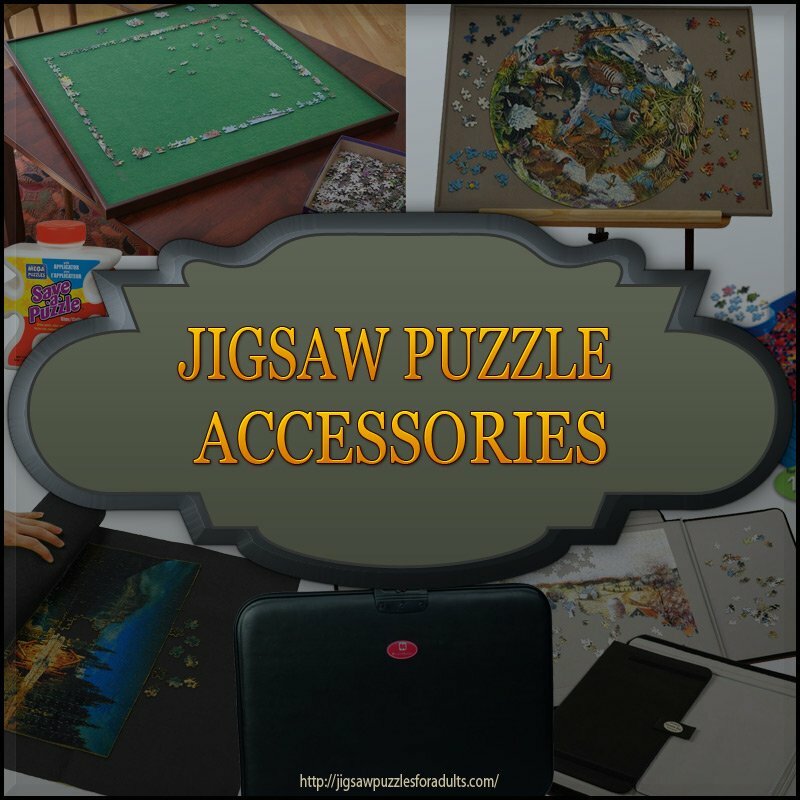 Jigsaw Puzzle Accessories - Make Puzzling A Whole Lot More Fun! Jigsaw Puzzle Accessories make working on jigsaw puzzles for adults a whole lot more fun! 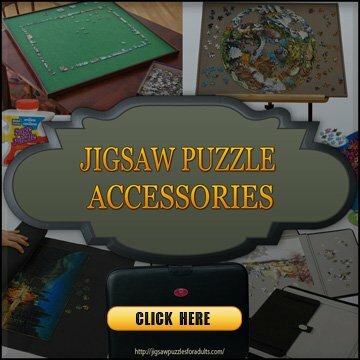 On this page you’ll find plenty of accessories for jigsaw puzzle enthusiasts and links to other pages on our site that will give you some great information on the specific jigsaw puzzle accessories that you are looking at buying. 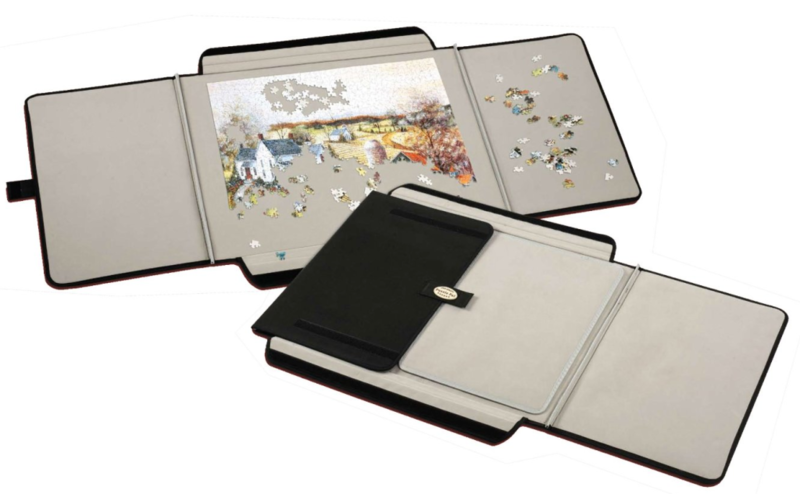 Don’t forget jigsaw puzzle accessories make awesome gifts for people whole love working on jigsaw puzzles. Jigsaw puzzles are a fantastic hobby or pastime for everyone from toddlers to seniors. 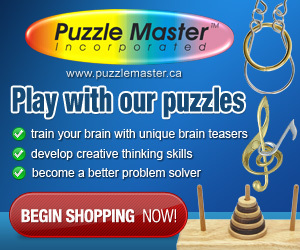 You’ll find that there are puzzles for every skill level and age. Puzzles come in all sizes and piece counts from 16 piece puzzles all the way 42,000 plus jigsaw puzzle pieces. So as you can see there are plenty of jigsaw puzzles available, however, if you want to make your puzzling experience more enjoyable, having a few essential jigsaw puzzle accessories is a must. 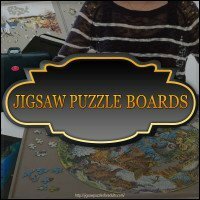 What you will find on our website are the Top 10 jigsaw puzzle boards and storage, and great reviews and in-depth information on most of our popular puzzle boards, cases, carriers and storage. 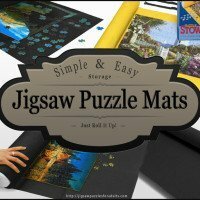 If you’re looking for something a little simpler you might want to try a few jigsaw puzzle mats for an easy storage solution. If you’re tired of giving up your dining room table to an avid puzzler in your family then you should have a look at our Top 5 jigsaw puzzle tables. There are lots of different sorts of jigsaw puzzle tables depending on your specific needs you are sure to find something that will suit your preferences. For example you’ll find wooden folding tables, tilt top tables, adjustable tables, as well as Fold and Go Tables. 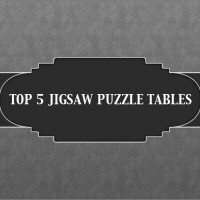 If you want something that is unique when it comes to keeping your jigsaw puzzle hobby organized you might want to check this page on Best Jigsaw Puzzle Table With Drawers. Do you or some one you know who is an avid jigsaw puzzler have a difficult time reaching across a large puzzle or maybe just getting up to place a puzzle piece is difficult, then these round jigsaw puzzle spinners are just the thing! Jigsaw puzzle sorting boxes or trays are a puzzler’s best friend! When putting together a jigsaw puzzle, managing all your puzzle pieces is pretty darn important! A missing piece in a puzzle is no fun and if all your pieces are spread around who knows what unthinkable things can happen to those precious puzzle pieces. These trays or boxes are perfect for sorting and organizing your puzzle pieces while keeping them face up and within arms reach. Another Must Have jigsaw puzzle accessory! Tables, jigsaw puzzle boards, jigsaw puzzle mats all make fantastic gift ideas for puzzle enthusiasts. When looking for jigsaw puzzle accessories don’t forget good lighting to prevent eye strain. You’ll want to check out these LED reading floor lamps they happen to be some of the Best Reading Floor Lamps for Hobbyists! So with all these awesome jigsaw puzzle accessories what do you do when your jigsaw puzzle is finally completed? Do you display them or just break them up and put them back in their original box? If you are one of those avid jigsaw puzzlers who not only likes assembling your puzzles but you also like to save them after they are finished you’ll need glue or peel and stick puzzle savers and maybe a frame or a puzzle safe for your finished jigsaw puzzles. 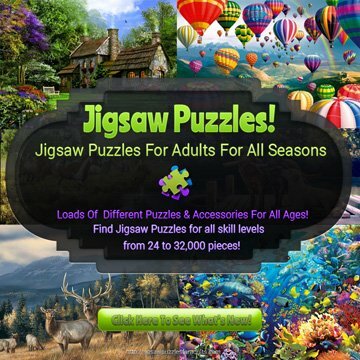 There are lots of different jigsaw puzzle accessories to choose from whether it’s for yourself or as a gift and you will more than likely find plenty of ideas for jigsaw puzzle accessories on this page and by following the links you’ll get more information. If you love doing puzzles you already know that having the perfect jigsaw puzzle accessories will make doing your favorite puzzles even more enjoyable. If you found your way to our website in search of the perfect gift for an avid puzzler than we hope that we can help you in your search. Trying to find a special gift for someone you know that is a jigsaw puzzle enthusiast is sometimes a little more difficult than you think. You will find detailed information on all our jigsaw puzzle accessories so that you will be able to make an informed decision while you are shopping for the perfect gift. Accessories to Make Your Jigsaw Puzzle Pastime More Fun! 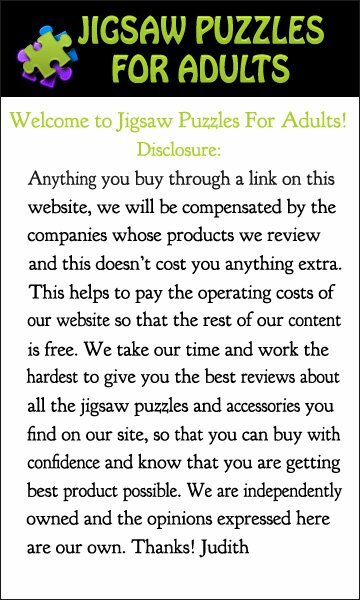 So if you are shopping for yourself or as a gift for someone else below you will find a brief introduction to some of the jigsaw puzzle accessories that you will find on our website. You can access the various jigsaw puzzle accessories by clicking on the link below or on the picture which will take you to the page associated with the particular jigsaw puzzle accessory you are looking for. If you are looking for a particular type of jigsaw puzzle accessory, you can click on the links below and you’ll be able to get all the information you need. So, if you are looking for a Great Selection of Accessories for working on jigsaw puzzles. I hope that you found what you were looking for, whether you are searching for an ideal gift for an avid jigsaw puzzler or you just want to make your own hobby of working on jigsaw puzzles more enjoyable. Be sure to check out all our different accessories and puzzles.